The house is located on the A442 and is set into the base of the cliff. The tree covered slope above the cliff posed a risk of branches, rocks, etc. falling onto the roof of the house below. 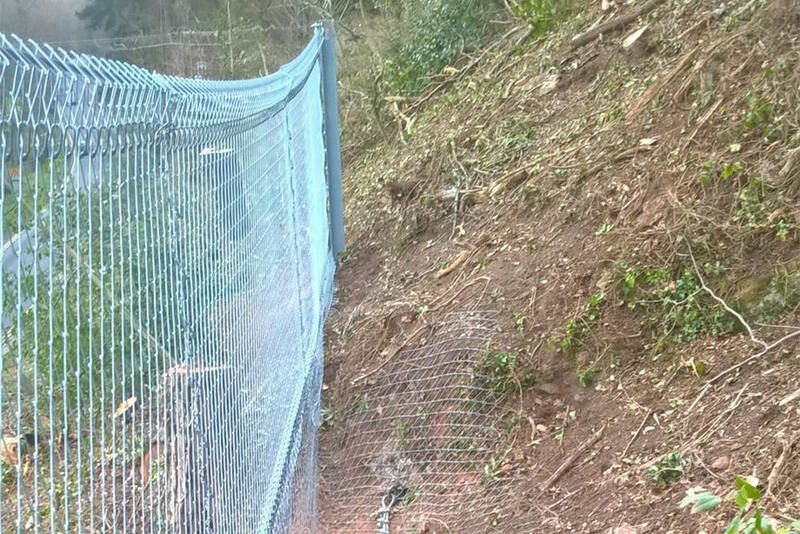 Although some devegetation and tree removal had already been completed, there were several trees deemed too risky to remove given their proximity to the cliff edge. Access to the top of the site was also hampered by a steep and muddy field. 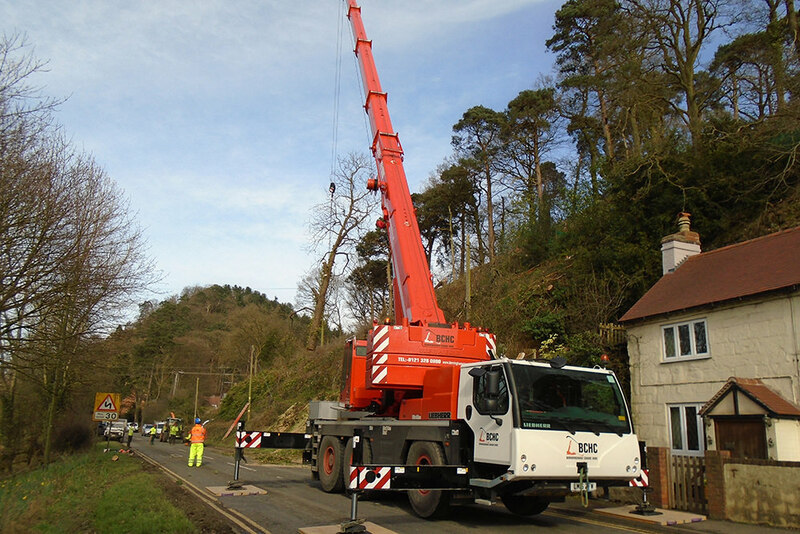 We installed a temporary catch fence at the start of the project meaning we could work with a tree removal contractor (Cashmore Contracting Limited) and crane contractor (Birmingham Crane Hire Company) to remove the trees and lower them down to road level. Once the trees had been removed CAN built a 40 lin meter Geobrugg T35 catch fence along the edge of the cliff to prevent debris being able to fall onto the house below. The fence comprised 6no fence posts and 2no end stay anchors. An additional stay anchor was added due to a change in direction along the line of the fence, allowing it to follow the curve of the cliff top. A gulley was present that transected the fence that could potentially have allowed debris to pass under the fence. An infill panel was created to block this off, supported by 3no supplementary dowels.